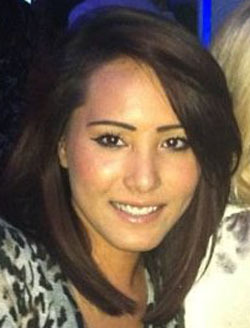 This is a guest blog from Naomi Chow, public relations at FDM. Today is the birthday of Ada Lovelace, widely known as the world’s first computer programmer. Lovelace wrote programmes for Charles Babbage’s Analytical Engine along with the very first description of a computer and software. This was no mean feat; Lovelace was born in 1815, a time when women rarely received the same education as men, let alone in science, technology and mathematics. Fortunately a lot has changed since then and 2012 has seen some fantastic ‘new-era’ Ada Lovelaces, as highlighted by a number of initiatives and awards like Computer Weekly’s inaugural Top 25 Most Influential Women in UK IT Awards and the FDM everywoman in Technology Awards. Women in IT are a rarity in most cases; but instead of complaining about it, companies are looking at how to pop the bubble of ignorance and how they can change the future of women in IT and business. Many companies have started gender diversity campaigns and the government is taking a keen interest in equality with its proposed motion to bring in a women on boards quota. But is legislation the answer? This is a debate which has split the masses; whilst some may argue that this quota shows a commitment to increasing women’s representation in UK boardrooms, others would argue that women should be on boards based on merit not gender. The truth is that there is not a correct answer, but it does showcase nationwide support for the female gender: a far cry from Lovelace’s era. However despite these positive movements, the IT industry is still struggling with a deficit of women in IT. The proportion of females taking Computing A levels is 9%, only 15% of applicants to computing degrees are female and a mere 14.4% of UK computing professionals are women. Moreover, seven out of ten technology professionals agree that they are missing vital skills as a result of low representation of women in their teams. So what can companies do about it? Companies need to demonstrate a commitment to making changes throughout the business. FDM started its women in IT campaign in 2011, an initiative dedicated to encouraging and supporting females to consider an IT career and creating a positive working environment where they can develop their careers. FDM has contributed time and resources to increasing its female workforce in the form of mentoring programmes and a number of events including Advantage Sessions to highlight the range of opportunities in the industry. The results speak for themselves; 23% of the FDM workforce are women, up from 19% last year, FDM was voted into the Top Ten Employers for Women 2012 and Sheila Flavell, COO, won ‘Corporate Leader of the Year’ at Cisco everywoman in Technology Awards 2012. As a result, FDM has secured its place as a company known for its commitment in supporting women in IT. “We want to make sure that everyone has the option to be a part of, and learn more about, technology despite their gender. And succeed,” said Flavell. Is the industry succeeding? Definitely. Is the industry doing enough? Perhaps. It’s a step in the right direction but there is a long way to go. With more passionate women who want to be part of the future of women in IT and technology, we’re hopeful the industry will eventually succeed.